If you don’t have the money to pay a professional designer, you can always focus on doing some work on your own. You can find inspiration in magazines, in Drummond House Plans’ photo gallery and other sources, as these will give you useful information about specific projects. If you eventually end up needing help during your project but you don’t act ahead of time, you may find yourself facing difficulties you may not be prepared for. It would be best if you start your preparations and you ensure any skilled help before your project is underway so you can achieve your desired results. This is especially important with projects who take place outside at the mercy of local weather. Roofing can be a serious expense, so make sure you focus on getting as many estimates as you can from various roofing companies, as well as checking for references. There are many options concerning roofing, which include traditional and lightweight materials, shingles or even tile. A roofing contractor will give you more accurate and useful information based on experience, so you might want to pay heed to what they have to share. 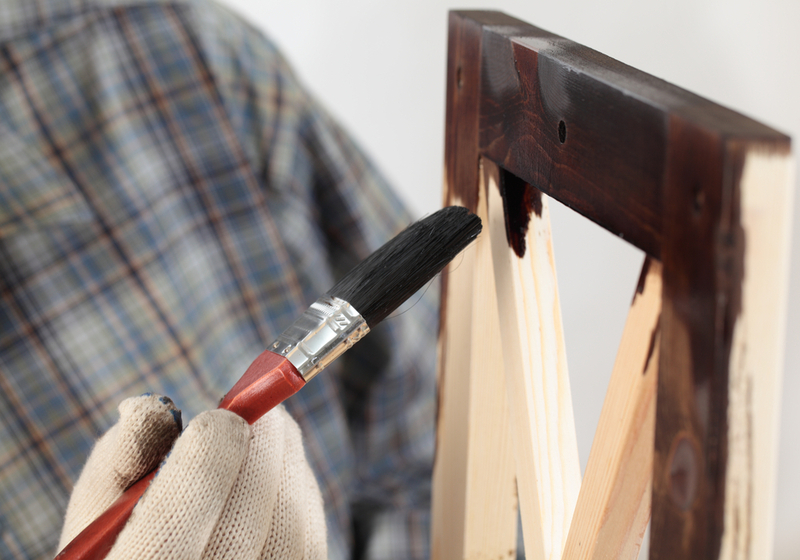 Wooden surfaces should be sanded and wiped off before you try to stain or paint them. Make sure you use fine-grit sandpaper so you can smooth the finish. Using a damp rag will help you remove dust as well as keeping the surface neat and clean for further work. Bathrooms are very sensitive when it comes to any damage or mold. Keep in mind that you may need to replace any showers, sinks and other items around it at the first sign of trouble. You may need to also swap linoleum floors if you see water damage, as mold may become a serious issue in a high-humidity, high-heat environment. 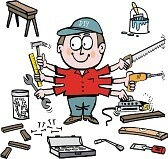 Make sure you keep your building supplies and any other materials safe and sound within a secure storage location. Although the odds of them being stolen are low, you may want to go the extra mile at securing things just to be on the safe side. Make sure you don’t buy low quality drywall or other materials, as you will feel very sorry for making that choice in the end several years down the line. If you experience any drops in water pressure, you should consider checking with your neighbors for a similar problem. If they don’t have anything like that happening there, you may be facing some issue with your pipes, such as a leak. Check the faucets and make sure you see whether you need to adjust the aerator of whether you need plumbing help. Let your neighbors know you plan on doing renovation and home improvement as soon as possible, so they can adapt to the inconvenience. They will have a chance to be better prepared if you do so ahead of time.